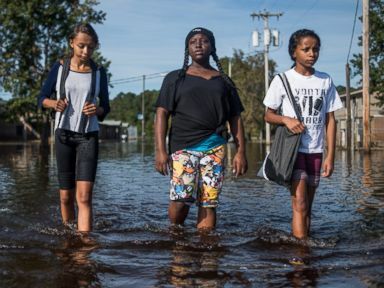 As North Carolina residents dig themselves out from the destruction left behind by Hurricane Matthew, one town remains under floodwaters. The town of Lumberton is about 70 miles from North Carolina’s shoreline, but it’s one of the worst-hit areas by the storm. More than 2,000 people have been rescued there, North Carolina Gov. Pat McCrory said. "I saw firsthand the suffering the citizens are going through," McCrory told reporters on Tuesday. "That will stick with me for the rest of my life." 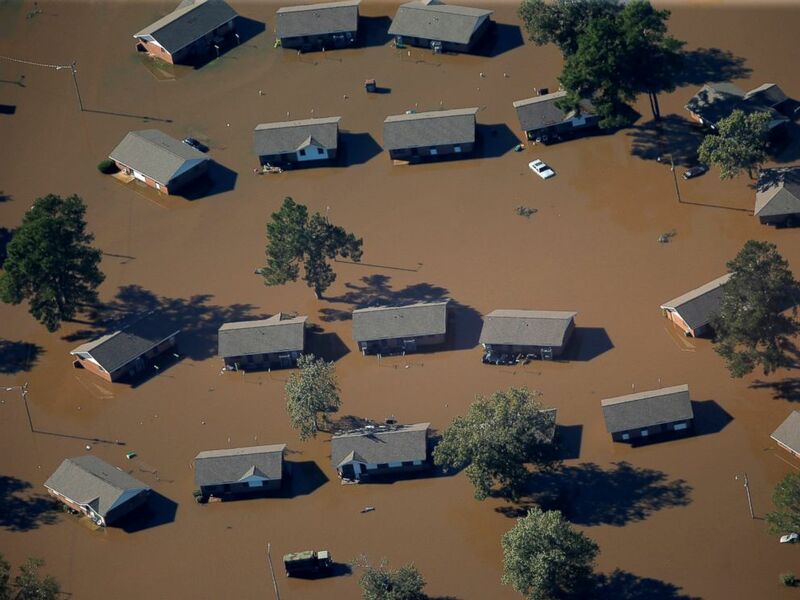 An aerial view of a neighborhood that was flooded after Hurricane Matthew, on Oct. 10, 2016, in Lumberton, North Carolina. 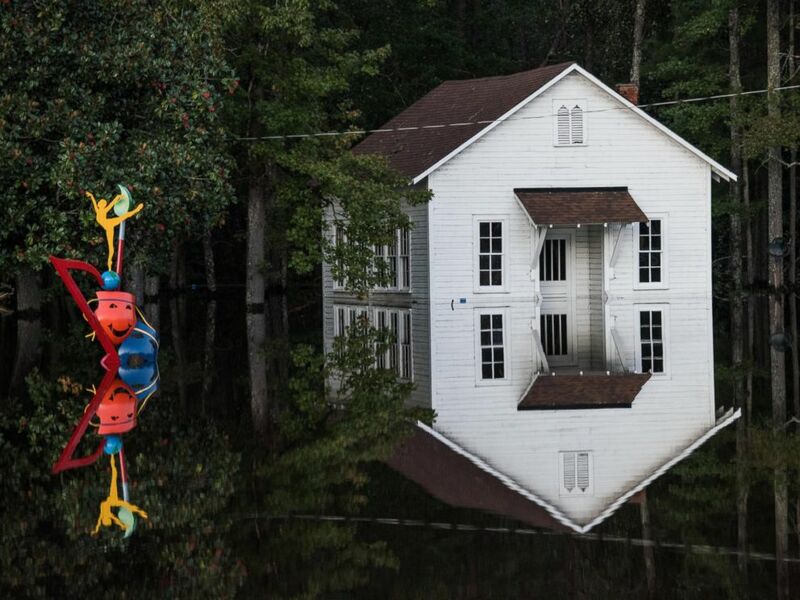 A building is inundated with floodwaters on Oct. 10, 2016, in Lumberton, North Carolina. North Carolina has experienced the worst flooding since Hurricane Floyd in 1999. Hurricane Matthew’s heavy rains caused eight dams to be breached in the state — two of which swallowed Lumberton, leaving homes, businesses, cars and roadways underwater. Emergency crews have been using helicopters and boats to rescue some residents stranded on rooftops. Rescue efforts were still in progress as of Tuesday. "Lumberton is going through a tough time," McCrory said at a press conference Monday afternoon. "We haven't hit the most critical point of this storm's impact." 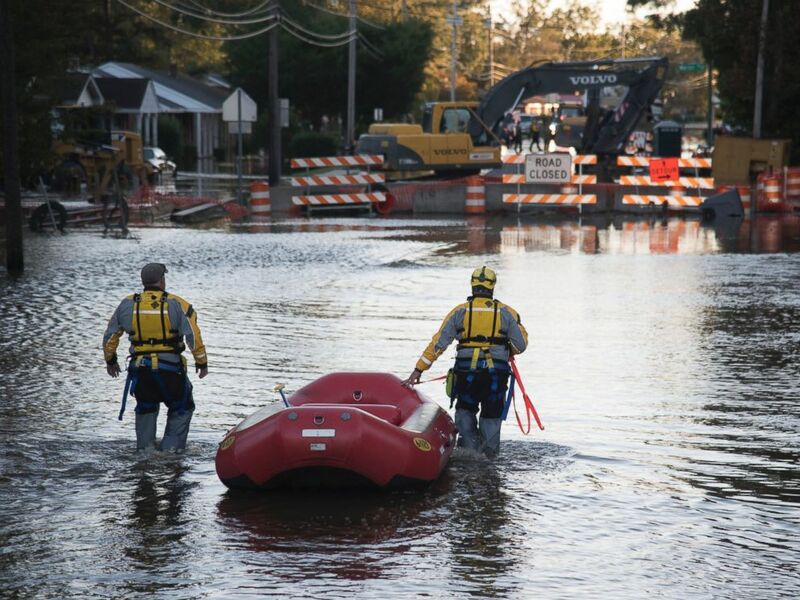 A swift water rescue team down a street covered by floodwaters caused by rain from Hurricane Matthew, on Oct. 10, 2016, in Lumberton, North Carolina. The storm has been blamed for the deaths of at least 14 people in the Tar Heel State, and three others are missing. One man was shot and killed by a trooper during a high-water rescue in Lumberton. At a press conference Tuesday, the governor did not provide further details about the shooting and said it was under investigation. 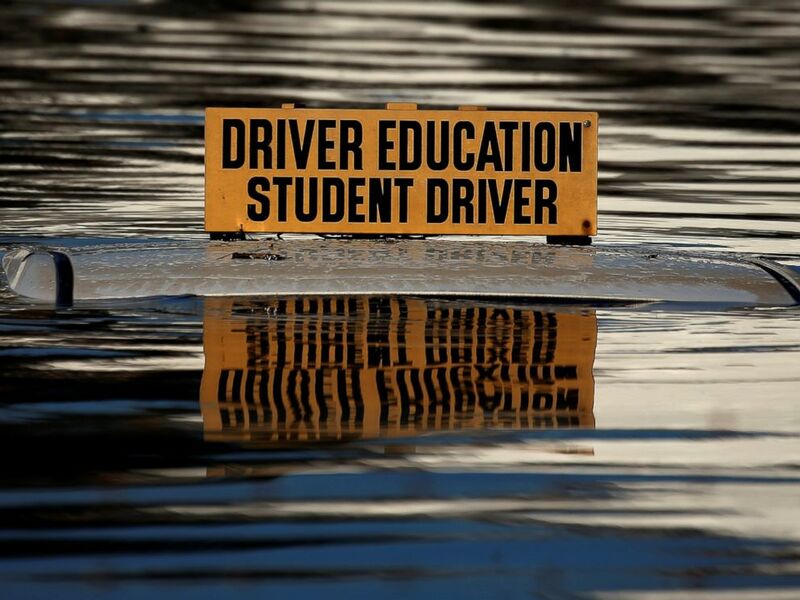 The roof of a student driver car is pictured partly underwater as a result of Hurricane Matthew in Lumberton, North Carolina, on Oct. 10, 2016. 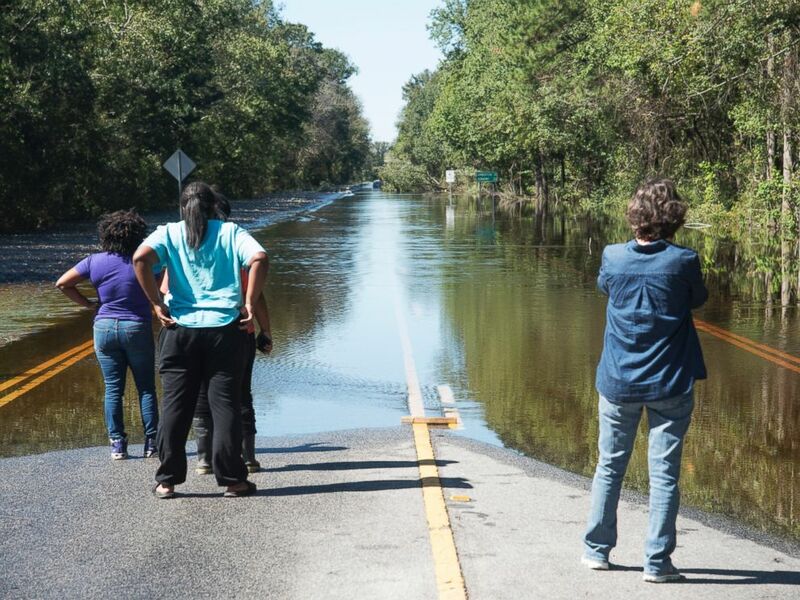 Floodwaters caused by rain from Hurricane Matthew block NC Highway 41 west at the Bladen and Robeson County line outside of Lumberton, North Carolina, Oct. 10, 2016. Some 282,000 homes and businesses were still without power across North Carolina on Tuesday, and I-95 South was mostly impassible along a 70-mile stretch. The roads that are open and usable are backed up with traffic. Hurricane Matthew hammered Florida, Georgia, South Carolina, North Carolina and Virginia for days before it weakened to a post–tropical cyclone on Sunday and veered out to sea. In the Southeast, 32 deaths have been attributed to the storm thus far; the most have been in North Carolina. "This storm is still impacting people in a big way," McCrory told reporters on Monday. "You have got to see it to believe all the devastation that has occurred." ABC News’ Jason Volack and Max Golembo contributed to this report.